Hey! It's another Harry Potter poster! 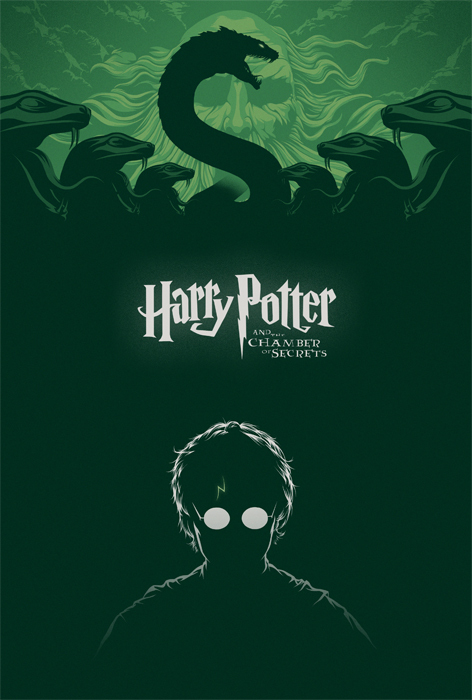 This time it's for the second installment Harry Potter and the Chamber of Secrets. 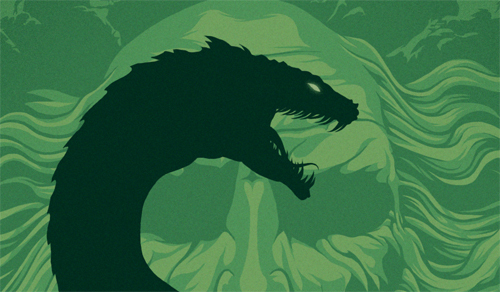 After doing the poster for Prisoner of Azkaban, the idea of doing a whole series of posters for the films began to take root in the back of my mind and gnaw away until I finally dove in and started on another. For this one, I really wanted to depict the Chamber of Secrets itself, as I thought it was pretty wonderfully done in the film, with the carving of Salazar Slytherin. I also wanted to communicate the pretty dark nature of the story and the serious danger that the Basilisk poses to Harry and all of Hogwarts. I'm not sure if I'll be going in any particular order as I move through the rest of the series, but if anyone has any ideas for key elements or scenes from the other films, please leave them in the comments below!